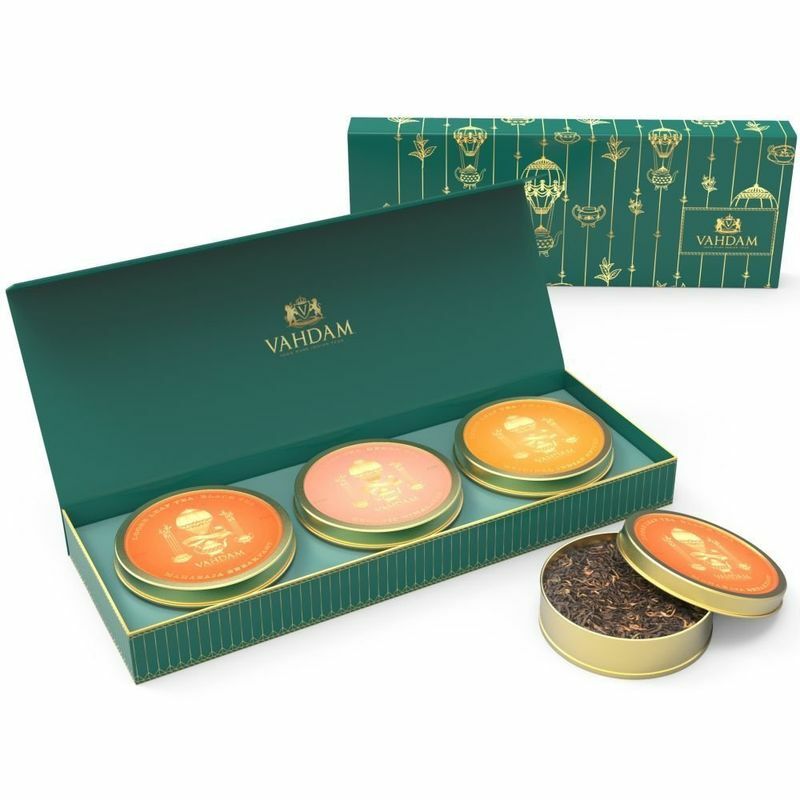 Handcrafted with meticulous attention from handpicked teas from select estates and artfully put together under the careful supervision of Vahdam's in-house master blenders, these three teas are the champions among teas. Brought together in a bespoke gifting ensemble, they make for the perfect gift for a tea lover with impeccable taste. The combination of India's Original Masala Chai Tea, Maharaja Breakfast Black Tea & Organic Himalayan Green Tea ensure there is the finest of black, green and chai tea in a single collection to suit every mood. A limited edition gift reserved for the highest echelon.